It’s funny… I never had any desire to be a writer growing up. First off, I was the worst speller in the world. Mrs. Ware, my high school English teacher, told me that she had never in her 47 years of teaching known anybody who spelled sugar with an ‘H’. My first book had over 3000 spelling errors in the first draft. Yikes. When I did finally publish that first book, I stood back and waited for those truck loads of cash to come rolling in. My first check arrived about a month later, and I was so excited I gathered my family around for the opening of the envelope… (drum roll please)… “And the check is in the amount of… one dollar and sixty-seven cents?” Don’t look now, Toto, but we are defiantly not in Kansas anymore. A ghost writer is a writer that is hired and paid to write but gets no credit for the work that is done. So, if I hire you to write my book, then you will do all the work, but I can put my name on the work and claim it for myself. One of the reasons ghost writers are paid so much is because of this arrangement. It is called a “work for hire,” and usually the job is paid for in advance. This relationship may seem strange, but it happens all the time. When a writer wants to create a new copy for sale, or for a website, they might hire a ghost writer to do the job. There are many jobs similar to this, such as writing business or ad copy, or even producing rewritten material for professional or personal use. The ghost writer is hired mainly and a professional freelance writer, so that they can produce a writing copy that is high in quality so that the work reads professionally. Usually, ghosts work for very large sums of money, but recently the standards of competition are being set by third world countries, like China and India, with agencies looking for the highest bidder. In many cases, the ghost writer charges a fee from $10 to upwards of $25,000 write books hires by an author to produce excellent quality work, usually taking from three to six months. There are many writers today who make a living writing for magazines. Whether you are writing full time or part-time, freelancing is considered the ultimate job by many writers. In order to succeed and a freelance magazine writer, you will need to know a few things, like how to express yourself well. You will also need the ability to write about many different interests and know how to accurately and thoroughly research topics. To find a good freelancing gig, you will need to prepare query letter and pitch submissions to a several magazines. You need to diversify you’re your writing opportunities, and not just push to one magazine at a time. If you want place yourself among other successful writers, you will need to submit many pieces on an assortment of topics and sell your work to different types of media outlets. If you are thinking about freelancing, you must remember that editors are very picky. Many times, they will be looking for a precise writing style, or a different angle on an article. Some editors decide if they like you based on the people you chose to interview. Finding your place in an editor’s heart is not an easy task, but necessary if you want that job. Freelance writing isn’t for everyone, but the people who finally land those choice jobs can usually write their own ticket. In a nutshell, copywriting is writing that is specially focused on making readers take a specific action. Things such as video scripts, sales letters and product descriptions all need someone to write them, and they succeed or fail by the write up they receive. Copywriting my not seem very different from other writing forms, but in reality, it is a practice all its own. Copywriting has changed recently. Gone are the days of hard selling, hype-filled campaigns shocking people into buying things they really didn’t need. Today’s trend is more toward conversational writing, with empathy and understanding. Either way, you will need a good understanding in the principles of persuasion. Unless you have a background in copywriting, get ready to invest your time and money in learning the ins and outs of the trade. Here are some excellent books that will help you learn the fundamentals of copywriting – CA$HVERTISING: How to Use More than 100 Secrets of Ad-Agency Psychology to Make Big Money Selling Anything to Anyone is an excellent place to begin. The most famous course for training in copywriting is AWAI’s Accelerated Program for Six-Figure Copywriting. earn you upwards of $2,000, plus a piece of the revenues as well. Now, I’ll be honest with you… it’s not easy building a popular blog. Not easy at all. But there is a way to actually make a living with a blog, and you will be spending a good amount of time doing the thing you like the most; writing. The first thing you have to is pick out a niche that already has a large following and a passionate audience, and have successful products to sell, from names you can trust. The smartest way to earn money from a blog is to promote affiliate products. The best thing about an affiliate product is that someone else has already done most of the work, validating and building the product and using customer feedback to enhance it. You won’t be the person who has to handle the inventory, money and customer complaints! There are many affiliate products on the market today that pay high commissions – some more that 50%. Companies can pay that high because incremental production costs of digital marketing is virtually nothing. The secret is to promote the right products and be able to stake your reputation on them. Remember, your blog has to be a service to your readers, or they will go somewhere else. As you probably already know, this website is an affiliate website, and my niche is writing. If you are interested in starting your own online business, I recommend you check out Wealthy Affiliate. They have a free 7-day trial period that gives you 2 free websites and 2 free domains. You don’t need a credit card, and there is no obligation unless you like what you see. You can read my article on Wealthy Affiliate or if you want to check out the website, you can do that here. This is a really interesting blog. I too could never spell, still can’t – thank god for speller checker, I like to believe it was invented for me. Funny most of my teachers (in classes I was weak) use to say, if you promise not to take this “isert subject” next year, I will give you a credit. Your blog showed me that there are many avenues to make money as a writer, I should have paid better attention in school, sorry I digress. What is it about writing you enjoy. And what type of writing do you do to make a living. I once had to take a Technical English course that focused on technical writing, I found it difficult. Would a technical writer be the same as copyright autor. Affiliate marketing sounds like a great way to make a source of income. 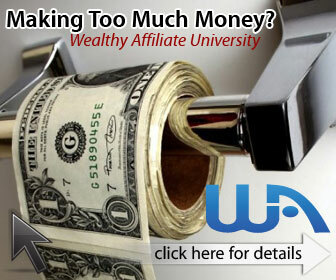 I think I will check out Wealthy Affiliate to learn more, since you spoke highly of them. Great article on how we can make money writing online. To be honest my English grammar isn’t the best but that doesn’t stop me from trying ! I do have my own blog but I’m also looking into freelance writing. Do you think posting a writing gig on Fiverr is the way to go? Or should I just sign up with some magazine companies? Thanks for the interesting article on how to make money writing. I’m a professional copywriter, article writer, ghostwriter myself and there is some excellent and profitable work available once you’ve built a reputation. One bit of advice I would add to your already excellent post is to consider becoming a specialist. For example, I specialize in what I would call semi-technical writing. My background is in IT so that helps of course. Having said that, there’s no reason you couldn’t learn about, say, cloud computing or AI and punt that as your specialty. It all comes back to thorough research. Once again, thanks for your views, I enjoyed reading the post. Hi Les, you are absolutely right about being a specialist. There are so many entry level writers in competition that we need to do as much as we can to make ourselves more marketable. I appreciate you stopping by and weighing in. Have an awesome day! There is probably more than one way to earn online and writing is one them. I personally think Ghost writing is a bit difficult for people like me who is new in the business but freelance article writing is something that I can do better and currently, I am looking for the best article writing platforms with a good reputation of paying. I have a plan to start a website too. Thanks for sharing the honest money making ideas as there are so many scams out there that do not make any money. Hi Sanjay, I recommend you give ‘Fiverr’ a look if you are trying to get your feet wet as a paid writer. You can get lots of exposure there and tons of experience. I have a feeling that you are going to do well in your writing career. Have an awesome day, and thanks for stopping by.